So you’ve impressed in the interview and the job is nearly yours, but in the growing age of social media, it doesn’t end there. The interview is no longer always the final deal breaker; more and more employees are taking to social media after an interview to check the fit is as perfect as they hoped. While your resume may list your academic and professional achievements, employers are just as interested as who you are as a person and how that will impact on the business if you were to join. 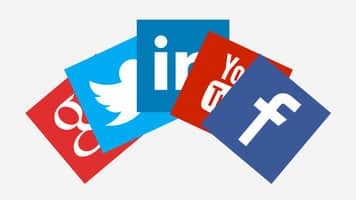 The problem is that in the lead up to interviews job seekers rarely think about the impact social media could have on their employability, not realising how a simple status or profile picture could be detrimental to their job search. Below, we offer our tips on ensuring that your social media profiles don’t ruin your dream job before it’s started. We all know that first impressions really do count and downing vodka from the bottle or posing in next to nothing hardly screams hire me! When businesses search for you, your profile picture is the first thing they’ll see, don’t worry this doesn’t mean you need a professional headshot as your photo, but maybe opt for something a little more respectable and a little less hooligan. If you think there may be anything on your social media that may impact your career search then it’s best off to play it safe and remove it. However, if you don’t want to then your privacy settings are going to become your best friend. You can use these settings to make you difficult to find, or to hide certain information from everyone but connections. This is a great way to ensure your ‘Maga 07’ photos stay under the radar. Don’t by any means feel you can’t show some character and have a laugh on your social media accounts, but maybe just think twice when posting if this would impress a recruiter or a hiring manager. Use social media to your advantage, not to your disadvantage and you’ll have secured your dream job in no time!